You should strive for the best mobile app design for your app, but is there ever a chance that you could ruin a good thing? Let's say you chose a stunning mobile app template, uploaded your logo and started adding features to generate interactivity for your users. Maybe you even implemented a Facebook page to see if users are more likely to chat on your app as opposed to on the main Facebook page. Regardless, the whole creation can go down the drain if you make a few simple mistakes. Rather than going over what you should implement on your mobile app, we're going to take an alternative approach by walking through a six step process that will completely ruin the way your app works for bringing in new users. Keep reading to learn about what to avoid. Not everyone is a professional mobile app design er, and this is nothing to be ashamed of. In fact, you're living in a wonderful time, since the tools provided for building mobile apps and websites are close to free (if not free) and they have all the features needed to generate an app that looks just like what a professional would come up with. 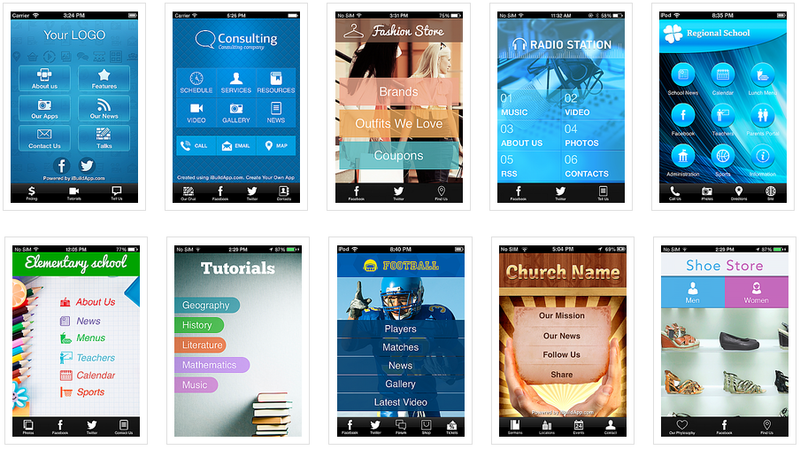 With iBuildApp, you receive a plethora of pre-built mobile app design templates based on certain industries. There's a small chance that trying to put those beginners skills to work is ever going to design a product better than what's in the iBuildApp template library. On the other hand, if you hire a professional developer, you will end up spending thousands of dollars for an app that looks just like something you could make with a template. Do yourself a favor and use the tools provided to get the best mobile app design. Stray away from those moments where you think you can design certain elements from scratch unless you really know what you're doing. It's fine to follow your heart and work on what you enjoy, but when it comes to running a business and interacting with your users, it's all about them. 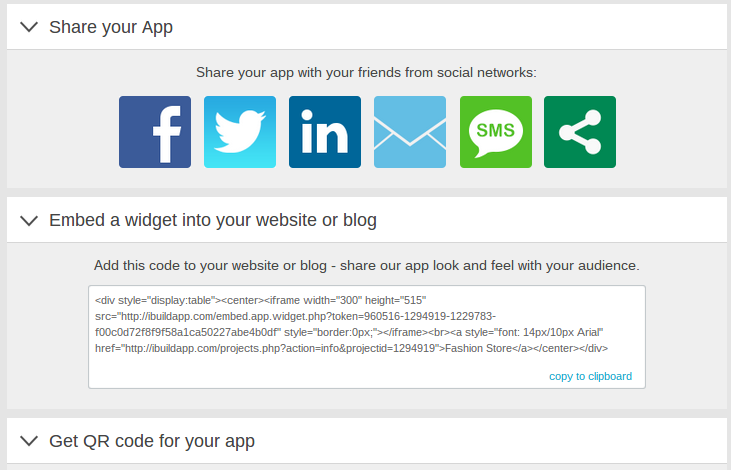 With a mobile app you have the opportunity to share Facebook feeds, photos, news blog posts, videos and more. This is a lot of responsibility when it comes to thinking of content to share and keep your users interested in the mobile app. If you'd like the fast track to an app that no one uses, consider sharing articles, posts and videos that don't relate to your business. The key here is to understand your users instead of randomly posting content that isn't going to solve their problems. Sometimes it feels counterintuitive to share content from other sources, especially when it may come from a competitor. However, we're talking about the well-being of your customers, so if you locate an awesome video from another company, and you can't imagine creating a higher quality resource, link to it from your mobile app. Your users will thank you for forgetting about competition and opening up their eyes to some of the many resources online. Mobile app design requires certain image dimensions in order to look professional. For those who want users to land on their apps and navigate away within seconds, upload candid photos, or forget about resizing images to fit a mobile platform. On the other hand, you could take a moment to find professional images, resize them properly and ensure that users see you as a credible source. What are the first words a user sees when opening your mobile app? Is it clear what your business is all about? If not, you've successfully ruined the effectiveness of your app. However, to turn this around, think about the titles and words on every page and every button in your mobile app. Test different variations to understand which ones work, and consider changing around the default button titles to fit your brand. From QR codes to social media sharing, systems like iBuildApp have all the tools required to promote your app within seconds. It takes work to build anything, but if you sit around and expect people to just show up after that, you're heading to a point where you app never gets downloaded. Are you on your way to a perfect app, or are you ruining it in the process? Let us know in the comments section if you can think of any other moves that could ruin a perfect mobile app design.